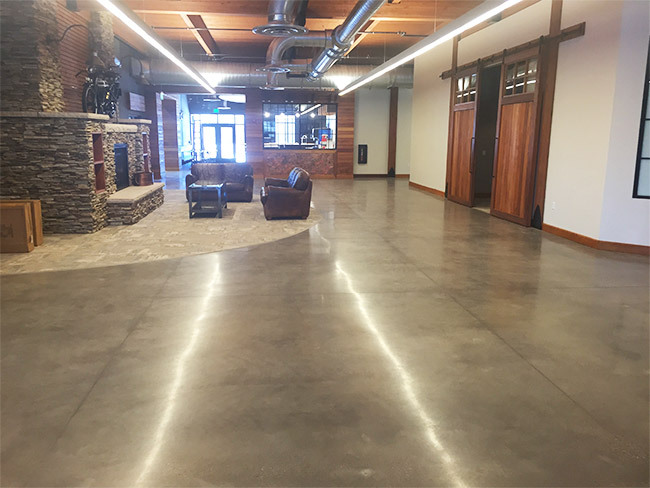 Black Diamond Concrete Polishing offers custom concrete floor polishing in the Winnipeg area. We work with residential, commercial and industrial property owners to repair and maintain concrete features that are strong and durable in all conditions. We only use aggregates and materials that are safe for your property and the environment. Our team has the knowledge, tools and years of hands-on experience to complete every polishing job correctly and efficiently. We are happy to offer free on-site consultations where our team will inspect your existing concrete and identify any potential issues. If you have questions about the benefits of concrete floor polishing, ask our team using the eform found on this page. Call the team at Black Diamond Concrete Polishing today to schedule a consultation.